A small number of exhibition spaces are being made available at Enterprise Excellence Ireland 2019 for companies and consultants who are providing Lean/6 Sigma products and services to the Irish processing community. For further information and to receive an exhibitor information pack please contact + 353 46 9773434, alternatively email Amie or Ronan. New eLearning platform in ‘Lean for Service’. Flexible, mobile, cost effective, global eLearning solution. Certified by the University of Limerick. Learn ‘How To’ transform any service process in any organisation. Empower your people. Drive down costs. Grow your business. Special offer for conference delegates: get your discount voucher at the Acclino promotion stand. Patrick has over 25 years international leadership experience in Operations, Supply Chain & Strategic Management, he has held senior roles in Ireland, the UK & the USA in the airline, FM CG & IT industry sectors. He is currently the owner & Managing Partner of Barr Performance Coaching. His clients are predominantly senior leaders in both domestic and international enterprises ranging in scale from Micro SMEs to major multi-nationals. Prior to taking on his current role Patrick was a Senior Director at he had responsibility for leading the Global OEM physical & digital Supply Chain Team. Patrick’s team managed the supply of more than 300 million licenses annually to major OEMs and Distributors across the globe, supporting ~$15Bln in revenue. A key element of his role was the development of a long term strategic plan to maximize Supply Chain agility and bring digital and physical solutions to a very diverse set of customers. We deliver courses in the area of operational excellence and continuous improvement, using Lean Sigma. Lean Sigma is a very successful methodology based on the elimination of waste, reduction in variability and improvement of efficiency. Lean Sigma is applicable to large or small organisations, in public and private sectors and in service and production. Log onto www.cit.ie and search Lean Sigma courses or www.stockilci.ie for more information on our QQI accredited courses. In addition to our course provision we work with organisations to help them make improvement gains using techniques such as Lean Sigma that result in significant savings. Our engagement model works on the basis of helping organisations to Educate, Empower and Achieve both for individuals and the organisation as a whole. We are an approved Enterprise Ireland Lean Education and Service Provider. We support the LeanStart, LeanPlus and LeanTransform programs. Funding options are also available through IDA and Skillnet. Contact mark.stockil@camms.ie or 086 6084894 for more information. CCi are the global leader in business performance improvement. We help leading manufacturing and supply chain organisations unlock greatness by implementing best practices that drive and sustain world-class performance. We are the original architects of TRACC, our flagship product, which has lead the way as an integrative improvement solution for some of the world’s largest manufacturing and supply chain brands for 30 years. The growth and success of TRACC is largely due to close partnerships with our clients and subject matter experts, enabling us to rapidly update the product to keep our clients at the leading edge. TRACC codifies every step of your improvement journey and integrates your improvement initiatives into one measurable and sustainable solution. We use TRACC to help you design, develop and implement an improvement system that engages and upskills your people to deliver a unique competitive advantage and results that last. Throughout Enterprise Excellence 2019, CCi will be hosting TRACC demonstrations at stand #33. The Lean & Green Skillnet is a National training network of over 400 multinational and indigenous companies in Ireland. This one-year, part-time (NFQ level 8) Diploma programme promotes an in-depth knowledge of the thinking and techniques behind Lean and Quality Systems in industry. Delivered via blended learning, the 30 ECTS course equips participants with state-of-the-art reference materials to support module topics. Participants gain knowledge of Lean, Six Sigma and other techniques and systems for streamlining products, processes and services. Problem solving skills are developed and honed. A focused project module requires participants to apply their knowledge to real-world scenarios, and to engage in discussions with fellow students and module tutors, exploring the key concepts in Lean and Quality Systems. Certification Europe founded in 1999 is an internationally accredited certification body based in Dublin with offices in London, Italy and Japan. We work with organisations across the globe to achieve ISO Certification plus provide training on a variety of management systems from Quality Management, Health & Safety to Energy Management and Information Security. Sectors: Our informed Consultants have personally experienced the challenges and opportunities of Business Improvement. This enables us to support a diverse range of industries including Pharmaceutical, Food, Electronics, Medial Devices, Heathcare, Precision Engineering, SME’s and Construction (LCI Commended). For over 24 years Dataworks have helped leading Life Science companies to deliver better outcomes through Digital Transformation. We are continuing to grow through the high demand for our professional services in Software Development, Validation Services and Managed Services. Our extensive experience means we can understand your challenges quickly, identify the real issues and find a way forward. Our engineers have a deep understanding of your sector and can work with you to deliver transformational solutions including Electronic Batch Records, Real-time KPI Visualisation, Analytics & Machine Learning. We work collaboratively across all functions and levels in your organisation to ensure your solution is right first time. Our systems empower teams to work more effectively, equipping you to operate faster and smarter. Dataworks can make your Digital Transformation a reality. We understand the processes in the medical device and pharmaceutical industries, and we know how to apply the right technologies. For you, this leads to better outcomes for your customers, patients and your team. We look forward to meeting you at the 2019 Enterprise Excellence Event. Contact us any time if you would like to discuss how we can use our experience and expertise to deliver real benefits to your business. Address: Dataworks Ltd Unit 4i, Six Cross Roads Business Park Waterford. Dell Technologies is a unique family of businesses that helps organisations and individuals build their digital future and transform how they work and live. The company provides customers with the industry’s broadest and most innovative technology and services portfolio spanning from edge to core to cloud. The Dell Technologies family includes Dell, Dell EMC, Pivotal, RSA, Secureworks, Virtustream and VMware. EMC Ltd, founded in 2001 and based in Galway is a leading supplier of Electrical, Mechanical, Pneumatics, and Industrial Controls supporting the Medical Device, Pharmaceutical, Plastics and Food Industries. We have partnered with market leaders such as SMC, Dynisco, Eurotherm and Bosch to bring world leading solutions to our clients. We support our customers through the entire life cycle of their equipment from machine building stage, to ongoing preventative maintenance to end of life and obsolescence strategy. From our years of experience in stock control we provide advice and manpower to ensure that our clients maintenance stores are run efficiently and provide strong support to production. At EMC our focus is always on offering tailor made solutions to deliver services and strategies that best suits our client’s needs. Enterprise Ireland is the government organisation responsible for the development and growth of Irish enterprises in world markets. We work in partnership with Irish enterprises to help them start, grow, innovate and win export sales in global markets. In this way, we support sustainable economic growth, regional development and secure employment. – some individual projects deliver an annual return of €50,000 from an investment of less than €1500 per person. The average project delivers a return of €15,000 – a ten times return on the training investment. You may be interested in an Operational Excellence training programme for your company? The programme has been run with Irish businesses over the past 6 years. The 54th programme is currently running and there have been over 500 participants. Locations have included Dublin, Cork, Galway, Carlow, Port Laoise & Drogheda. The programme has also been run in-house for some larger companies. 8 mentor days on each site over a 12-week period. Each participant delivers an improvement project within their business. Let’s help develop your people in Operational excellence. They’ll deliver excellent results for your operation. Expertivity Technologies provides the expertise required to help organisations rewire for execution, adaptiveness and speed. While digital technologies are shaping our modern societies and economies, many organisations are struggling to adapt to the tsunami of change inherent in the emerging digital world. The technologies of “advanced management practices” are often ignored in the rush to adopt the new digital technologies whereas, they are the cornerstone of the organisational transformation required to successfully harness them. Expertivity Technologies provides expertise in both Digital and Management Technologies, the combination of which underpin the modern, high performance and agile organisation. In today’s digital economies, organisations need to develop world-class expertise in both. Agile Business Execution is the application of both technologies to continuously reconfigure strategies, structures, processes, people, and technologies towards value-creating and value-protecting goals. It is the single most important capability required by organisations who want to survive and thrive in the emerging digital world. Service and knowledge work organisations are particularly challenged by the change tsunami sweeping society and the modern workforce is seeking organisations and management that empower and enable rather than command and control. To succeed, modern organisations must build a foundation of operational robustness, resilience and agility if they are to retain their workforce’s trust and commitment while exploiting the opportunities emerging in the changing digital environment. For over 15 years, our master practitioners have been the leading providers of Agile Business Execution expertise including Lean Enterprise Excellence and Digital-Readiness to the service and knowledge work sectors including Financial Services, Global Business Services, Healthcare, Public Sector, Utilities, and Information Technology. In doing so we have helped organisations from SME’s to Multinationals develop resilience in the face of emerging technologies, market volatility, changing regulatory environments and increasing customer demands. During that time, we have developed a proven suite of proprietary tools and methodologies that help build and sustain the enhanced skills and capabilities required to deliver the superior organisational fitness that underpins long term competitive advantage. These include our Agile Business Execution Canvas®, our Service Operations Fundamentals Program and our Integrated Lean Management System, ServiceForce. Since its launch in 2010, ServiceForce has been powering the execution of service and knowledge work organisations, both large and small. As an approved service provider for the Lean Business offers from both Enterprise Ireland and the IDA, we have been delivering major performance gains to clients across the service and knowledge work sectors. Please come along and visit us at our stand located at the entrance to the main conference hall. Facteq is a manufacturing business setup in February of 2017 by co-founders Darren Robb and Ian Irwin. With a strong vision for the future, both Darren and Ian put foundations in place and commercial production started by November of the same year. 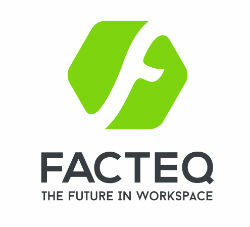 Facteq offers services and solutions to the process improvement world. From industrial furniture, consultation and mechanical design support, our aim is to help clients achieve maximum output in their production environments with minimum effort. Our systems are specifically designed to work best in factories and cleanrooms. At Facteq we embrace innovation and new technology across the board in order to keep us and our customers ahead of the game. Indigo Visual Management systems are for business teams who want to get better results from their processes. Bringing people together to focus on a visual based system which reflects realtime data in an easy, clear, & interactive way. From concept to development we collaborate with you on design thinking your process, resulting in creative custom visual management systems built specifically for your process. Along the way we offer expert guidance & quality designs. As innovative designers and developers of visual management products to major companies who operate within the lean process we have added real benefits to their operations. With vast knowledge & expertise of tried & tested methodologies we create high quality visual management designs, structures, tools and supports. Realtime data, measured targets, metrics and gaps in your workflow are clearly visible allowing for team problem solving & action plans to improve your business performance. Our systems promote continuous improvement within your business, generated from your team and your process working together towards business excellence. IRDG is Ireland’s leading non-profit, business-led Innovation Network of over 300 member companies and colleges, working together to drive excellence in Innovation within Ireland’s industry to create growth, jobs and prosperity. IRDG promotes and provides training for the application of Lean & Agile to product, process and service development across all sectors of business. The range of support includes conferences, seminars, training, consultancy and networking on the theme of Lean Product Development. The Irish Medtech Skillnet working in partnership with Skillnet Ireland and our contracting organisation, the Irish Medtech Association (Ibec sector), has over the past number of years grown substantially in direct response to the training needs of the industry. Total expenditure (2008 -2017) is over €6.3 million with 42% contribution from member companies and the remaining 58% funded by the state. Targets of over 8,900 trainees and 46,000 training days have been achieved. The Irish Medtech Skillnet provides opportunities to develop and deliver both new and existing training programmes. It offers training across key areas such as lean, additive manufacturing, innovation and regulation as well as highly strategic sectoral programmes developed for middle and senior management. The network also provides opportunities to assist with company specific training events. It has developed 14 specialised programmes for the sector from level 5 to Masters including MOR Operational Excellence Model, Product Development Assessment Model and Future Skills report. It is presently working on a competency model and a commercial model for the medical technology sector. IT Sligo – Ireland’s largest online provider of accredited degree programmes in Quality and Lean Six Sigma – Yellow, Green and Black belt. The award-winning IT Sligo Lean Six Sigma courses are delivered 100% online with weekly live and recorded lectures. The courses now include Minitab – the Six Sigma statistical software used by many leading employers. Our course content includes industry examples from medical device, pharma, food, manufacturing, healthcare and service sectors. Participants also undertake a work-based project to allow you to use the Lean Six Sigma tools in your workplace. Jigsaw works with organisations to develop an “Organisational Growth Mindset”. Our clients are successful businesses, we work with them to harness their existing strengths & talents to drive improvement. Our team of partners have extensive commercial experience and using tools from Lean, Six Sigma & Design Thinking and Techniques such as coaching, mentoring & training, we are in the unique position to guide the person and the process through the change cycle. LBSPartners works with companies to help them make that shift from good to great. Providing the capabilities, training and systems they need to unlock Better in their environment – creating an efficient, successful and more profitable business. We can do this for you too. Using Lean methodologies and industry best practices, and by sharing our collective experience – we’ll partner with you on the road to Better. We’ll use our proven LBS framework to develop process and people solutions specifically designed around your unique challenges. Using our hands-on, data-based and results-driven approach, we’ll work alongside you to guide you through each step of the process – to meet and exceed every goal. And most importantly, we’ll make sure the improvements we unlock are sustainable – continuing and growing beyond our involvement with you – let’s talk today. Leading Edge Group is an Irish owned company that specialises in the area of change and process improvement by providing consultancy, training and technology solutions to organisations across multiple sectors in the use of Lean and 6Sigma techniques and methodologies. Established in Cork in 1995 and with international offices in Canada and Australia, Leading Edge Group is a global leader in the provision of continuous improvement delivering strategic and operational improvements for organisations through enhancing customer service, increasing quality and efficiencies and optimising resources. Leading Edge Group also works in partnership with a number of academic and professional bodies such as University of Ontario and University of Cork to provide internationally accredited Lean certification programmes. We look forward to meeting and sharing some ideas with you at the conference. See you at stand 14! OEEsystems International are THE OEE PEOPLE. We work with the world’s most progressive manufacturing companies to increase capacity, reduce costs and drive continuous improvement. Our exceptional record of combining our Smart Factory software and our Science of Manufacturing methodology delivers powerful visualisation, analysis and real-time control of your manufacturing processes. That makes us THE OEE PEOPLE. OEEsystems International are THE OEE PEOPLE. We work with the world’s most progressive manufacturing companies to increase capacity, reduce costs and drive continuous improvement. Our exceptional record of combining our Smart Factory Software and our Science of Manufacturing Methodology delivers powerful visualisation, analysis and real-time control of your manufacturing processes. Need help with your Industry 4.0/ Continuous Improvement project now – Contact us for a short exploratory call. RIKON is a hybrid centre of innovation in Business Technology Management situated on the WIT campus in the heart of the South East of Ireland. Our BizTech strategists specialise in solving business problems and creating commercial opportunities through pioneering research advancements across business strategy, innovation, design, operational excellence and technology optimisation. RIKON think differently because we are a mix of business strategists, technologists and design thinkers who will create, incubate and deliver a future for your business that will produce extraordinary results and allow you to leapfrog your competition. SA Partners is Europe’s longest established Lean Consultancy. Established by Professor Peter Hines in 1992, it now employs over 40 full time fee earners and has sites around the world. Following our brand promise of “Together, the power to improve” we work with organisations to develop sustainable improvement. We blend our consulting experience, with structured offerings around assessments, t raining and coaching. We have a team of experienced lean consultants who have had a minimum of 10 years experience in transforming organisations. We have experience of working on multi site/ country, extended supply chain, assignments. We structure our teams around Account Directors, Programme Managers, Project Leaders and programme Support. Our people will customise our offering to your specific needs blending Assess, Solve , Train and Coach to particular environment. Our promise is always to leave you with the skills to do this yourselves. We do not offer an “off the shelf‍ solution” because every organisation is different in relation to culture , challenges, customers etc. Delivering a bespoke solution which is tailored to the requirements of that organisation, make it far more practical. SeaChange have a highly experienced team of corporate experts who specialise in numerous disciplines including leadership, culture change, behaviour-based safety, lean management, organisational psychology, lean systems, safety culture and selection and assessment. The SeaChange Corporate team provide unique insight into culture and enable partner organisations to lead real behavioural breakthroughs. We pride ourselves on our authenticity and grounded approach that comes from over 60 years’ collective experience in the corporate sector. Most importantly we don’t simply suggest ‘what’ show be done to effect real culture change, we demonstrate ‘how’ to do it in a practical and sustainable way through our innovative tools and solutions. SeaChange work with multiple world class clients in the corporate sector including pharmaceutical companies, food and drink manufacturers, SMEs, warehousing & distribution companies and medical device manufacturers. SeaChange solutions have yielded average client results following their implementation such as 65% improvement in safety culture, 78% reduction in accident-related injuries, 48% improvement in front-line leadership KPIs and 80% increase in risk awareness. We’re passionate about helping organisations transform habits, empower people, grow leaders, implement and communicate lean systems and establish and sustain real and lasting Culture Change. For 30 years, we’ve brought the latest thinking, the leading techniques and the most accomplished industry trainers into ambitious organisations, large and small, throughout Ireland, the UK and beyond. We empower people with the capability to help their organisations reach the highest standards, maintain compliance and drive efficiency. We are renowned for a dynamic, practical real world approach. A combination of theory and practice that works. We believe, in the field, the best people to learn from are seasoned industry experts, not just academics. That’s why we so carefully hand- pick every single tutor. People who have worked at the coalface, who can draw on their experience and share real world insights, stories and techniques. Leaders to empower and inspire you. Training is much more effective when it’s made relevant to your organisation and your particular needs. That’s why we make it our business to understand your business. With that understanding we can best advise on who needs what training, and tailor programmes to precisely address your unique needs. Team BDS is a Management, Technical and Training Company specialising in ‘Lean and Operations Excellence’. For 25 years we have worked with companies across all sectors ranging from Manufacturing, Food, Construction, Agricultural, Renewable Energy, Healthcare and Services across the island of Ireland and the UK. Our highly experienced team of Engineers, Managers, Accountants and System Specialists provide expertise in technical and business consultancy services to multinational corporations, indigenous SME companies and state bodies, with many long term client relationships. Our primary purpose and commitment is to significantly improve the performance of our clients, through the use of technology, people and management capability through Lean and Operations Excellence, Innovation and R&D, Business Management Systems, Enterprise Resource Planning, and Management Training and Development. High-quality documentation can drive enterprise excellence. TWi is a leading provider of technical writing and information design solutions, serving some of the largest companies in ICT, MedTech, BioPharma, Utilities, and more. Working with innovative clients who are continuously improving, we help them to eliminate waste from their processes by ensuring procedural steps are clear, concise, and written appropriately for the end user. As information design experts, we transform complex information about products, services, and processes into clear, accurate, user-friendly content. We work with clients to develop internal content management systems and provide training in technical communication skills and strategies. For information, visit www.technicallywriteit.com or contact emmet.kearney@technicallywriteit.com. At UBIX we design, print and produce bespoke Visual Management, Safety and HR products to support the continuously improving organisation. Leveraging on our 20 years of lean consultancy and 35 years of WCM and Lean Manufacturing experience, we aim to help you create a visually effective while safe and productive working environment. As a one stop shop for everything Continuous Improvement, Lean, HR and Safety, we understand the importance of visual management and emphasise that in all our products. The University of Limerick is an independent, internationally focussed university with over 13,000 students and 1,300 staff. It is a young, energetic and enterprising with a proud record of innovation in education and excellence in research and scholarship. ULearning is a blended learning development unit within the University of Limerick. It is an innovative connector of industry and academia, addressing individual and corporate skills gaps thro ugh professional flexible learning. It offers individuals the opportunity t o earn professional certifications and academic qualifications while at work and organisations to design industry specific courses with content based on your needs. For the past 15 years ULearning at the University of Limerick has delivered world-class quality programmes in Lean and Six Sigma and currently offers these at Specialist Diploma and at Masters Level. V.A.E. Consultancy Ltd offers business development solutions, training and mentoring. We specialize in lean management, training, and delivery of lean management programmes, both privately and in conjunction with Enterprise Ireland and the Local Enterprise Offices throughout Ireland. After establishing the company in March 2017, Managing Director, Allyson English, attained a place on the Enterprise Ireland Approved Suppliers listing. Since then, Allyson has strived to build and maintain relationships with various Local Enterprise Offices throughout Ireland, successfully delivering and working with many SME’s from a variety of industries, ranging from Manufacturing, Information Technology, Retail, Hospitality, Service Providers and everything in between. With more than thirty years experience in the design, implementation and production of contract signage projects for national and international clients, Visual Management Solutions has the experience necessary to take client instruction and reproduce sensibly to a workable practical solution, all within tight time constraints. We are a full service sign company who specialise in the production of lean management visual boards and accessories, and operate from purpose built premises using the latest technology to produce quality practical solutions. We operate an on time every time policy.